As with medical gloves or other contamination barriers, a stethoscope barrier should be designed and validated to prevent the spread of infection and reduce patient exposure to pathogens and other contaminants. The design of early stethoscope barriers has been inherently flawed in that they require handling and manipulation by the user prior to patient contact. Further, these products are often carried in jacket pockets or other locations known to be contaminated. These design characteristics make it challenging to ensure the barrier is aseptic prior to use. Even if such products are validated to be useful the study methodology for inventory, transfer, application, and use requires strict adherence in routine clinical practice as well. The AseptiScope® DiskCoverTM System ensures an aseptic barrier is applied to a stethoscope every time it is used at the point of patient care. The AseptiScope DiskCover System is comprised of a wall-mounted dispenser with individual stethoscope covers, DiskCover barriers, that are sealed inside medical grade tape and stored in the AseptiScope Clean Cassette. Prior to being placed in the dispenser for application, the AseptiScope Clean Cassette has been in a controlled environment since its clean room production. 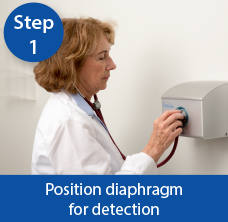 By utilizing a touch-free, wall mounted dispensing unit, each stethoscope DiskCover is sealed and clean until the moment it is directly applied to the diaphragm of the stethoscope for patient examination. 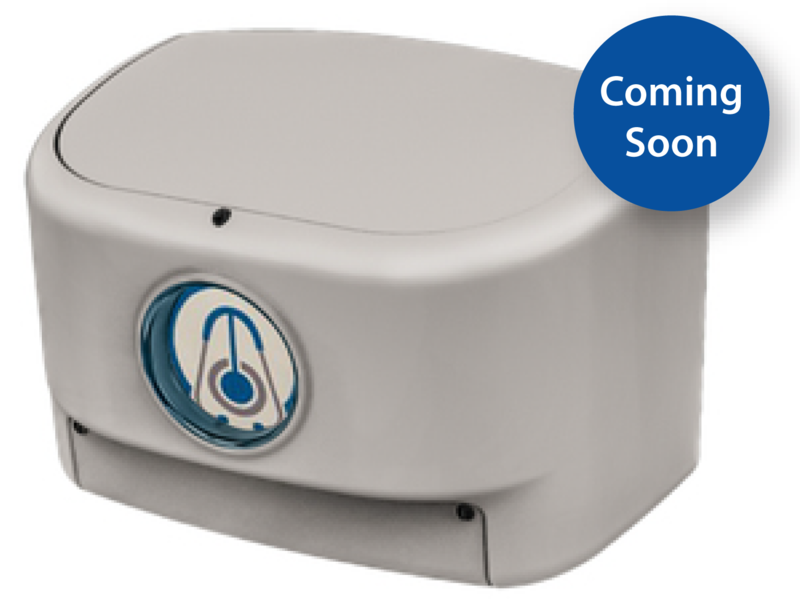 The System requires no formal training, only seconds to apply an aseptic DiskCover, and is ready for immediate use. Using the AseptiScope DiskCover System involves three easy and intuitive steps that take only 2 to 3 seconds. 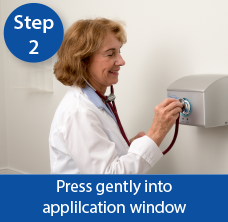 Step 1: Simply position your stethoscope directly in front of the application window at the front of the dispenser. A laser diode detects the stethoscope and activates the system. A new, single use DiskCover barrier is automatically and visibly positioned inside the application window. Step 2: Once the DiskCover is in place, the clinician gently and evenly presses the stethoscope diaphragm against the DiskCover application window to ensure even placement. Step 3: Withdraw the stethoscope from the application window with the aseptic DiskCover in place. You are now ready for an immediate, and clean, auscultation patient examination. © 2019 AseptiScope, Inc. All rights reserved.